When the markets are going down, the value of people’s market related investments like stocks, equity mutual funds and ULIPs also go down. This has probably been the case for most investors who started investing within the last 2 years and now see their investments in the red after the markets started their downturn sometime in 2018. So why have the such investments been disappointing lately and what should an investor do now? We’ll explain with the example of equity mutual funds. The answer, of course, is to deal with volatility. Over a period of 5 or 6 years, the returns are often great but the variability is high. In any given short period, you could face poor returns, or even losses. There’s another way to look at it. The equity markets move in cycles, and often it takes five to seven years to go through a full cycle of steep rise, fall, stagnation and back. To get the right level of returns, we need to invest through the whole cycle. That won’t happen in a year or even two. There’s yet another way of looking at it, which was the subject of a study conducted by Value Research about a couple of years ago. It was found that on an average, if one invests through an SIP (Systematic Investment Plan) over four years, then the risk of a loss is negligible. For a typical fund with a multi-decade history, over all possible one year periods, the maximum returns were 160% and the minimum -57%. Over two years, it became 82% and -34%. Over three, 63% and -18%. Over five, 54% and 4%, meaning never any loss. Over ten years, the maximum is 30% and the minimum 13%. These are all annualized figures. The trade-off is absolutely clear – the shorter the period, the higher the potential gain but the worse the possible risk. This evidence squarely puts long-term at five years and above. Equity mutual funds that are redeemed before a year attract exit-loads of 1% in most cases. Even after that, Long Term Capital Gains (LTCG) may be applicable if the interest earned is more than Rs 1 Lakh. It should also be noted that the perceived loss when the markets go down is only notional. One should not convert notional loss into a real loss by redeeming his investments. To illustrate this point further, here are a few instances from the past 15 years when the markets went down. Here, it can be clearly seen that even though there might be certain periods of downward performance, the general trend of the market remains upwards. While the market will go through its ups and downs, if you stay invested in it for the long run, you will generate higher and inflation-beating returns. The best part is yet to come though. The downturns are not periods when one should just hold tight, sit back and wait it out. These are periods when the market is trading at a discount than what its value was before the downturn started. This presents you with the opportunity to buy more units of the same security at a lower price which means that when the markets eventually go up, you earn a higher return than if you had just waited it out and done nothing. This is precisely why we recommend investing through the SIP route. By investing regularly, one buys more units at a lower NAV when such a fall occurs, thereby bringing down his/her average cost which eventually earns him/her a higher return. So, to answer the earlier question, the returns from equity mutual funds have been disappointing lately in large part because that is the nature of markets. The only thing that a wise investor should do in such a scenario is to continue investing and wait it out. Given a long enough time-frame, such a strategy is bound to produce healthy and inflation-beating returns. Portfolio Management Service (PMS), as offered by a large number of PMS companies, has a very concentrated portfolio consisting of about 20 high-conviction stocks (shares) managed in a very ‘hands-on’ manner by a professional portfolio manager. PMS surged in popularity last year after generating outstanding returns, much over the market indices and even most of the mutual funds, during that bull market (2017-18). However, they also fell equally fast when markets entered a bearish phase later in the year (2018). PMS almost always invest in small companies which have not been discovered by the general investing public – and that precisely is where the risk is. Such stocks are likely to go up hugely when markets go up but are also almost the first ones to fall down when the tide turns. Eg, one of the most popular PMS was down by about 50% last year-end when markets went down. PMS are primarily designed for the HNIs (High Net-worth Individuals) as they offer a high level of personalization, entry level is a minimum Rs 25 Lakhs as per the regulations and of course, they work on the principle of high concentrated risks. Despite this fact, PMS remains a popular investment avenue for HNIs especially when the markets are subdued, due to their future high return potential. A high conviction, ‘high Risk- high Reward’ strategy for a long-term investment horizon of 5 years or more. PMS get hit the first when stock markets go through a bearish phase. It is not uncommon to find PMS funds eroding upwards of 30% investor value during such times. Very concentrated portfolio consisting of around 20 stocks primarily from the mid and small cap sector. As per regulations, minimum amount to invest in PMS is Rs 25 Lakhs. However, some companies don’t accept anything less than Rs 50L or even 1 Crore. 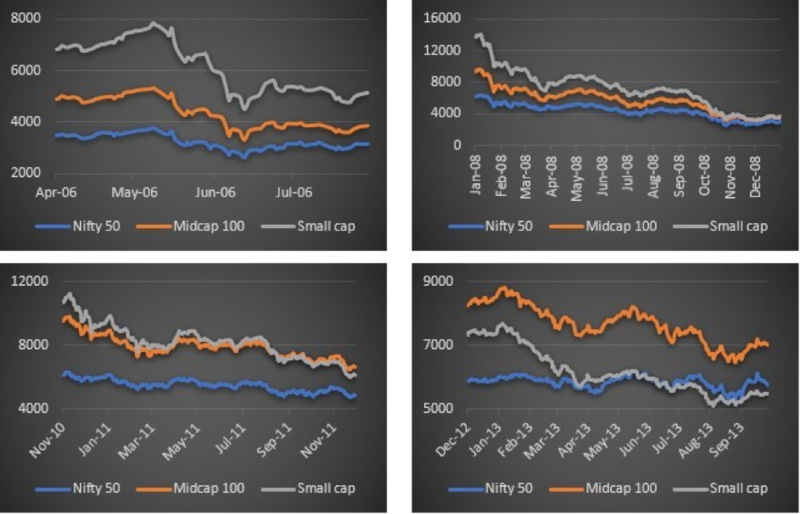 Ever since the 2017-origin bull market ended, the mid cap and the small cap segments have been going through a rough patch and have been two of the worst performing segments in the entire stock market. The downward spiral has been so severe and prolonged that large number of even seasoned investors have abandoned these segments. However, the segment is now probably at its lowest point and a turn-around seems quite imminent. Some very good stocks have been unreasonably beaten down and present a good buying opportunity – that is why some of the good mutual fund managers are quietly buying them right now. 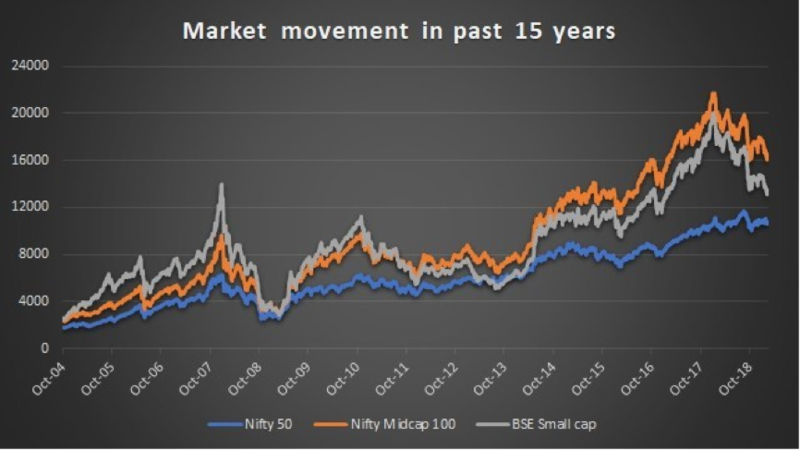 If one learns to ignore all the negative hype surrounding elections scare, doomsday gossips, performance of Indian economy and the likes, it is possible to generate PMS like returns over a long-term horizon of 5 years or so from now by choosing the right mid and small cap Mutual Funds (MFs) combinations now. That is what we are proposing and are hence offering our own version of PMS using MFs. By researching and investing in a carefully curated list of select mid and small cap mutual funds, we not only provide the opportunity for possible considerable gains but also maintain significantly lower risk than a PMS. What advantages would such a strategy have over a PMS? There are likely to be 4-5 funds in the portfolio being proposed by us. Typically, each such fund would invest in about 30-70 stocks compared to the an entire PMS portfolio investing in about 20 stocks. So, the eggs are definitely not in one basket but rather widely spread, thus evenly and fairly spreading the risk. MFs always have much more institutionalized and process driven methodology of selecting, monitoring and turning over stocks than most of the PMS which are generally run by much smaller companies. Your costs in our strategy would be typically about half of what a PMS charges. Similarly, the tax on the gains is also likely to be almost negligible. Minimum investment is being kept at Rs 5 Lakhs one-time or Rs 85,000/- per month of SIPs over next 6 months, compared to a minimum of Rs 25 Lakhs in a PMS. A portfolio consisting of Mid Cap and Small Cap Funds, researched and selected by us, would be created for you under this scheme. It would be kept as a separate portfolio even if you already have your regular investments through us. Its report also will be separately generated. The lock-in period in this scheme is 5 years. We may close the portfolio before that and refund you the money if we find very good gains have been made earlier. However, if you wish to exit before while the scheme hasn’t been closed, you would be charged an exit load of 1% of the total portfolio value by us. If the scheme continues beyond 5 years, there would be no exit load. The scheme is open for subscription only for one month from now till 15 April 2019. This is to ensure that the investments take place in the current attractively priced markets. However, the period can be extended or shortened depending on how long we think the markets remain under-valued. If you decide to invest in this strategy, please invest the money that you don’t require for next 5 years. Also, it is a long-term strategy – neither evaluate its performance in the short term of few months or years, nor get unnerved by market volatilities, which would be very common in such a portfolio. Rs 5 Lakhs is the minimum starting point. In case you are comfortable with such a portfolio and its strategy, you may increase your exposure in it, but we do not recommend you to go beyond a maximum of 15% of your overall investments, depending on your risk profile and comfort level. There is not likely to be another entry point given in this portfolio after the current initial offer. Please note that this is a unique strategy devised by us and such an opportunity may not present itself very often. We urge you to make the most of it provided you are prepared for getting into high risk stocks in the stock markets and to wait patiently for 5 years for the intended returns to come. This is a High Risk – High Returns, high conviction strategy. While we are very confident of its efficacy and ability to generate very good returns for you in the long-term horizon of 5 years (or earlier) that this scheme is likely to run, there is no guarantee of any returns, including the possibility of a capital loss even though its chances are very low. However, we do promise you a very high level of research, monitoring and sincerity from our side using our wide experience in this field. Please note that we would be getting a small commission for the funds subscribed by you under this strategy from the MF companies whose funds are selected by us. In case you wish us to take you through the Direct mode of investing in this strategy, we would charge 1.25% per year as our annual fee since there would be no commissions accruing to us from the mutual fund companies. 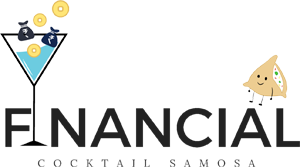 L&T Finance Limited (L&TFL), an L&T (Larsen & Toubro) group company, is coming out with an offer of Secured Redeemable Non-Convertible Debenture (NCDs) Public issue offering very attractive rates of interest rates in the range of 8.89% – 9.35%. They are meant as a superior, higher interest bearing alternative to other safe investments like bank FDs, Post Office deposits and even most of the corporate FDs for a period ranging from 37 months – 120 months. Along with the high interest rates on offer, there is also the flexibility of choosing the frequency of interest payment in the form of monthly, annual and cumulative interest pay-outs. So, if you’re looking for a safe, high interest bearing and flexible FD, these NCDs by an L&T Group company could be a good alternative to your bank FDs. L&TFL is offering NCDs with a face value of Rs 1000 with minimum application to be made for 10 NCDs (implying minimum Rs 10,000/- of investment) and in multiples of 1 NCD thereon. These NCDs will have tenures of 37 months, 60 months and 120 months with interest rates in the range of 8.89% – 9.35%. Allotment will be in demat mode only on ‘First come, First Served’ basis. Issue is open for subscription from 06 March 2019 to 20 March 2019. However, it can close before the last date if over-subscribed earlier. The NCDs will be listed on BSE and NSE within 12 Working Days from the date of Issue Closure. However, going by our previous experience, do not bet on selling these NCDs on stock exchanges since there may not be adequate buyers when you want to sell. The issue is rated IND/AAA-Stable by IRR, ICRA AAA Stable by ICRA and CARE/AAA-Stable by CARE. The ratings of the NCDs indicate highest degree of safety regarding timely servicing of financial obligations. Excellent Rating, well known investor friendly L&T group, lucrative coupon rates and flexible pay out options make this offer a worthy option for investors looking for long term fixed income. Investment in this debt offer may be considered for medium to long term. So, how can you subscribe to them? You let us know that you wish to go ahead with investing in the bonds. Please reply on this mail itself received by you. We generate a unique numbered application form and send it to you by return mail along with detailed instructions on how to fill it. You download it, print it and fill up the form. Send a scanned copy of the Application form. Alternately, the same can also be sent as a correctly positioned WhatsApp picture on phone number 9999 053 522. Please keep the application form safely with you since it is required to be submitted later. We will bid the number of bonds that you’ve asked for. If your bid is successful, we will inform you along with the details of the bank where you have to deposit the application form. The amount of money of the application amount will be frozen in your account automatically and will be debited from your account on the date of final allotment. You will subsequently be allotted the bonds which will start getting reflected in your Demat account within 12 working days. The bonds will only be allotted through Demat account. If you do not have a demat account, you cannot apply for the bonds. In the application form, the applicants have to be mentioned in the same order in which it is there in the Demat account. E.g., if the demat account is in joint name of A + B, then application also has to be in A + B applicant order and cannot be B + A. Only the same application form will be accepted by the company for final deposit which had been sent to us on scan or WhatsApp.